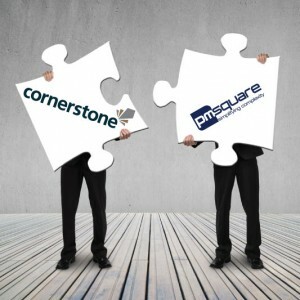 The merged Cornerstone and PMsquare business creates a strong regional player in the Asia-Pacific market, delivering Budgeting & Forecasting, Business Intelligence and Information Management solutions. Piers Wilson and Hamish Dwight from Cornerstone will head up the combined operations, while Carsten Brandt and Jason Rankin from PMsquare will implement Cornerstone’s ambitious growth strategy in Asia. In doing so, they will be leveraging PMsquare’s established footprint and reputation in the region, as exemplified by the SBR International Business Award for Consulting that PMsquare Singapore have received for the third consecutive year. Cornerstone Performance Management, an IBM Premier Business Partner, provides management and systems consulting services including data warehousing, reporting, predictive analytics, budgeting and forecasting to organisations throughout Australia. Cornerstone delivers industry specific solutions utilising IBM’s Business Analytics and Information Management software and has a customer base of over 100 leading organisations in Australia. PMsquare is a business consulting company specialising in Corporate Performance Management (CPM) and Business Analytics solutions. PMsquare was established in Sydney in 2008 and expanded to Singapore in 2011 and Philippines in 2014. PMsquare provides expert advice around the entire software implementation process from License Reselling, Scoping, Design, Implementation, Training and Project Management. Consistently successful high quality deliveries are the basis for PMsquare‘s reputation in the market as an exceptional solution provider and multiple award winner. For more information please contact Piers Wilson.